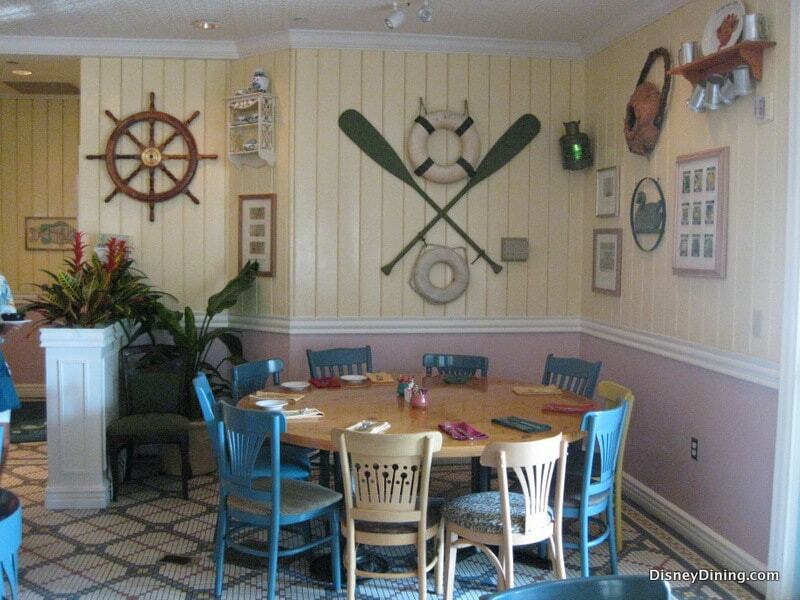 One of the most relaxing resorts on Disney World property is Disney’s Old Key West Resort. The original DVC resort from 1991, Old Key West Resort is themed for its namesake with a fun main lobby area complete with restaurants, a pool area with one of the fastest slides outside of the theme parks and a boat and recreation rental office. Old Key West also has a boat launch to Downtown Disney and the Westside, going with the theme of the laid back Key’s lifestyle. Dining offerings at Old Key West resort include Good’s Food to Go, a counter service stop with breakfast, lunch and dinner options. The Turtle Shack is located at the Village Pool, a second pool with the quick service location open only seasonally. The Gurgling Suitcase is a hidden gem bar situated between Olivia’s Café and Good’s Food to Go. Just be careful of the specialty Turtle Krawl…so tasty, you don’t notice how much you’ve had until you’ve had too much! 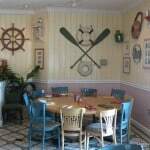 With the laid back atmosphere of the Old Key West resort and the fact that it is not attached to any theme park, some families do not take the trip over to Old Key West just for a meal. I would not go as far to say that it is a must dine location, but I will say that if you are without a reservation and it is busy, Olivia’s is a good option. I have never seen anyone turned away, given more than a 20 minute or so wait and I have never seen Olivia’s listed as a restaurant without availability on the Dining reservation site. 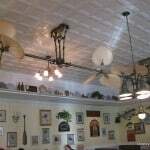 Olivia’s Café is also a location that serves Breakfast, Lunch and Dinner. 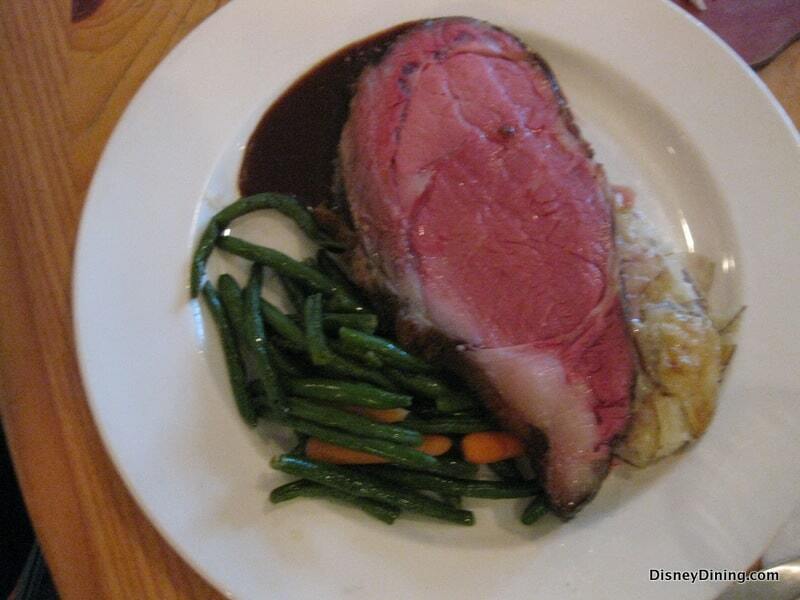 For families traveling soon, Olivia’s is one of the restaurants on Disney property offering a full Thanksgiving feast. Named after the fictional Olivia Farnsworth, Olivia’s offers the food that the residents of Turtle Krawl, a street in Conch Flats, would smell cooking from Farnsworth’s kitchen. The flavor of the Olivia’s Café is not surprisingly Key West inspired, with an offering or two from the neighboring Cuba. 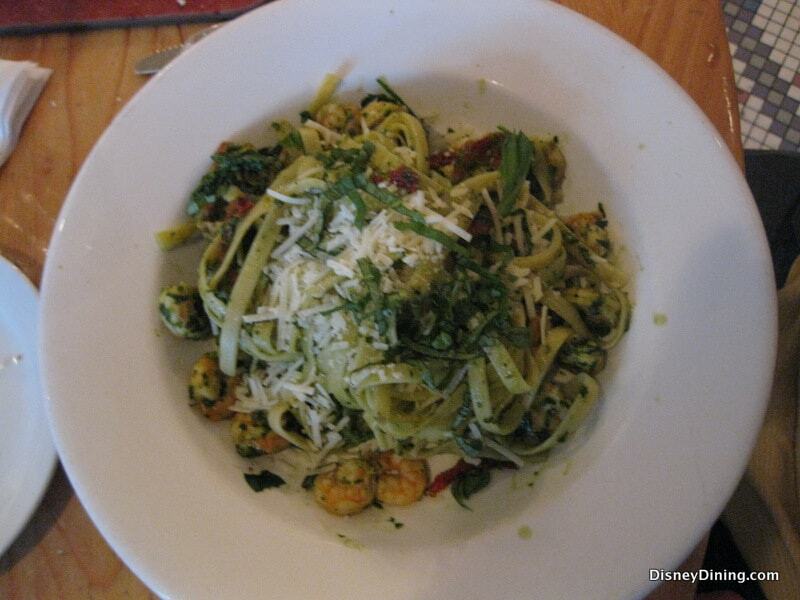 Olivia’s is also one generous lady, offering some of the better priced entrees in Disney World. Start your dinner with selections Conch fritters with key lime mustard and remoulade ($10.49) or the house favorite, conch chowder ($7.49). My personal recommendation is the crab cakes ($12.49). They are served perfectly cooked and seasoned with a strong crabby taste. They are nicely sized, too. Ask for a side of the key lime mustard, it is pretty darn delicious! 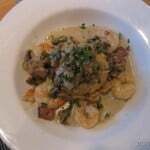 My father ordered the Shrimp and Grits (Sautéed Shrimp with Vegetables, Tasso Ham, and fresh Herbs served over Olivia’s Famous Grits, $21.99) While he said that the flavor was good, he was unhappy with the size of the shrimp and overall portion of the dish. Upon discussing the flavor, he said, “Ehhh…ok” So, maybe skip that one! 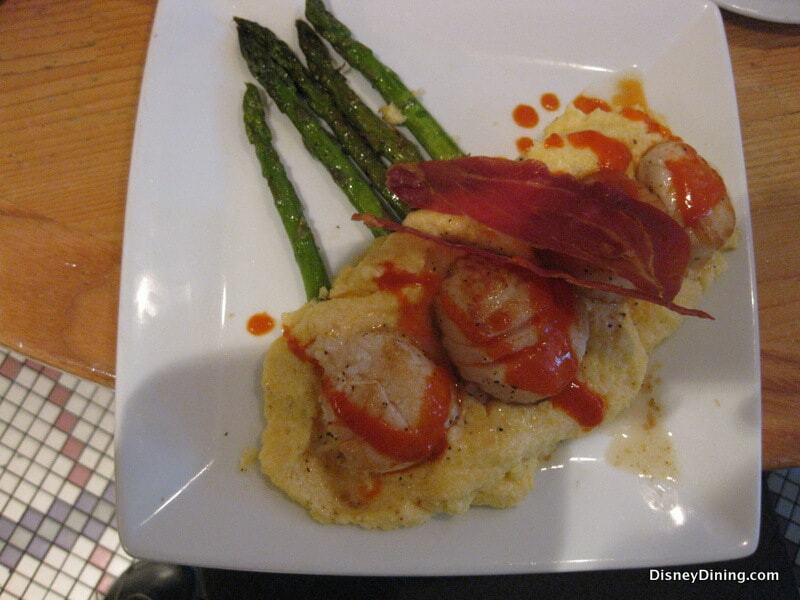 There are so many selections at Olivia’s, but what caught my eye was The Pan Seared Scallops (with creamy Polenta, Asparagus, Prosciutto Crisp and Tomato Vinaigrette, $20.99) 4 beautiful, giant sea scallops over a delicious polenta made for the perfect dinner. 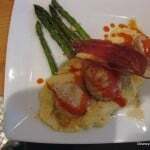 The crisp prosciutto added that much needed saltiness and the asparagus was the perfect pairing. What stole the show was the tomato vinaigrette, so delicious I wanted to order a small shot of it just to carry in my purse so I could notice it and relive my experience (I know I am a little strange). The only complaint was that there was not more, I cleared my plate and wanted to keep eating. Olivia’s also has sandwich selections, offering low priced options and perhaps it will help you convince your pickiest eater to join you! After dinner delights might include the Key Lime Tart with raspberry and mango drizzles ($5.99) or the Mascarpone Cheesecake ($7.49). I asked my friend if I could taste for the review and she actually told me she would rather kill me than share. I promise, it’s not me, she shared her Prime Rib bite, but not this! My favorite is the Banana Bread Pudding Sundae ($6.49). On top, they throw some Banana’s Foster topping and Vanilla Bean Ice Cream. Now, I refused to share and sunk into a sugar induced bliss. Olivia’s certainly lives by the motto, “No shoes, No shirt, No problem!” A casual, quirky place for a casual meal. I wouldn’t say that it boasts the best food or service on Disney property, but we did have elements of our dinner that would have us return. We also had some inconsistencies with our service and upon further review, noticed that most of the restaurant was working on “Island Time” but, maybe that’s a good thing…it allowed us to sit back and relax and enjoy the company of each other. 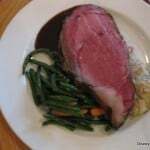 Food: Fun, casual offerings from simple sandwiches to Prime Rib. Most food has a Key West or Cuban flare. 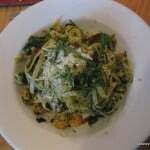 Everyone, even the pickiest eaters, will find something on the menu. 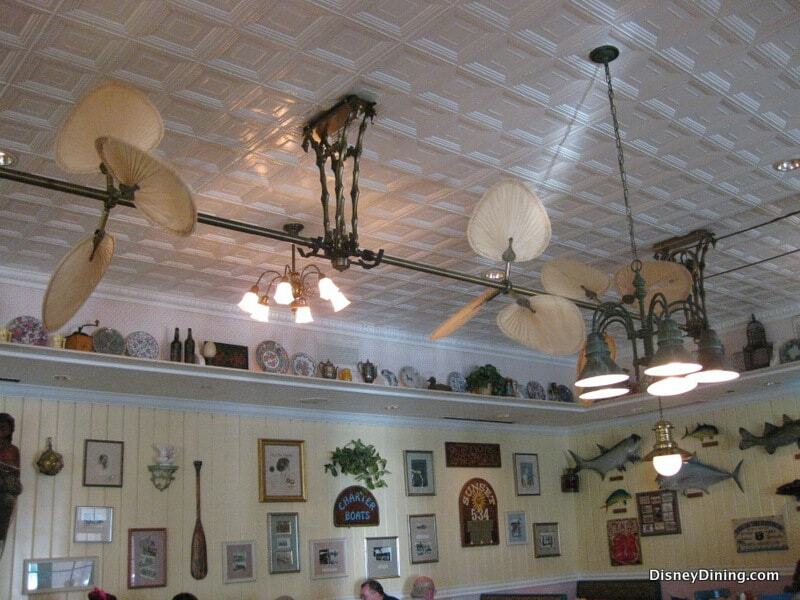 Atmosphere: Laid back in décor, looks a little cafeteria-ish. Mismatched chairs and kitschy decorations offer the charm that you are a guest in Olivia’s actual house. Servers dress casually in Key West inspired Hawaiian shirts and shorts. 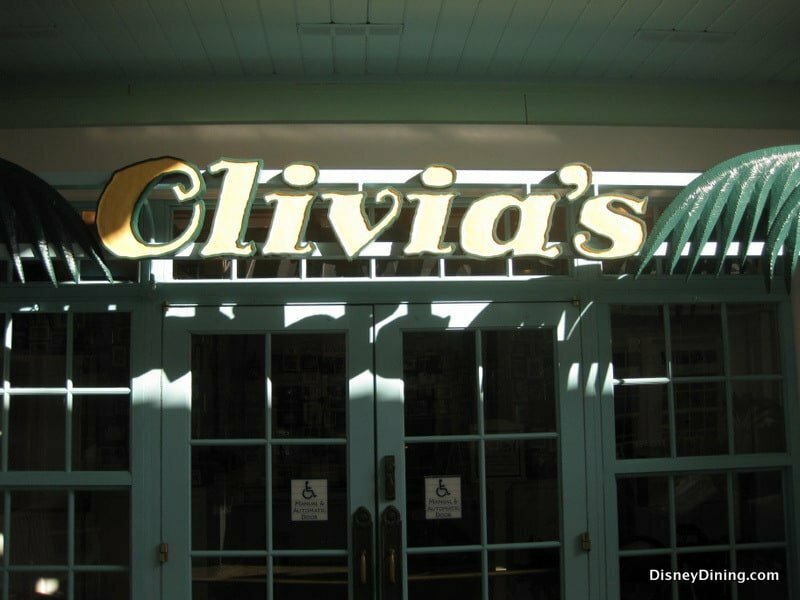 Olivia’s inspires the relaxed you, often needed after a long day in the parks. Service: Unfortunately, not the best I have experienced. Servers often have many tables that do not seem to be in stations, so often… your server is just running from one end of the room to the other. While many of the servers seemed knowledgeable about the menu, this is not going to be the place to receive 5 star service. But, with that being said, I hope when you go…I am proved wrong! Tips: Can’t get a reservation? 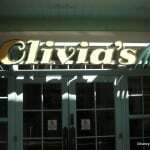 Olivia’s is often available. They also have larger tables to accommodate large parties. Hanging out at Downtown Disney and the restaurants are packed? 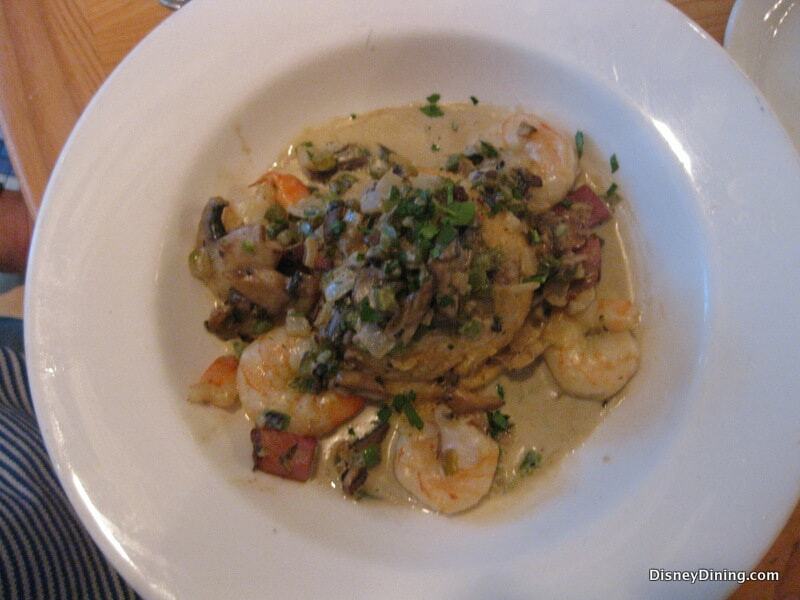 Catch a boat over to Old Key West Resort and check out Olivia’s. 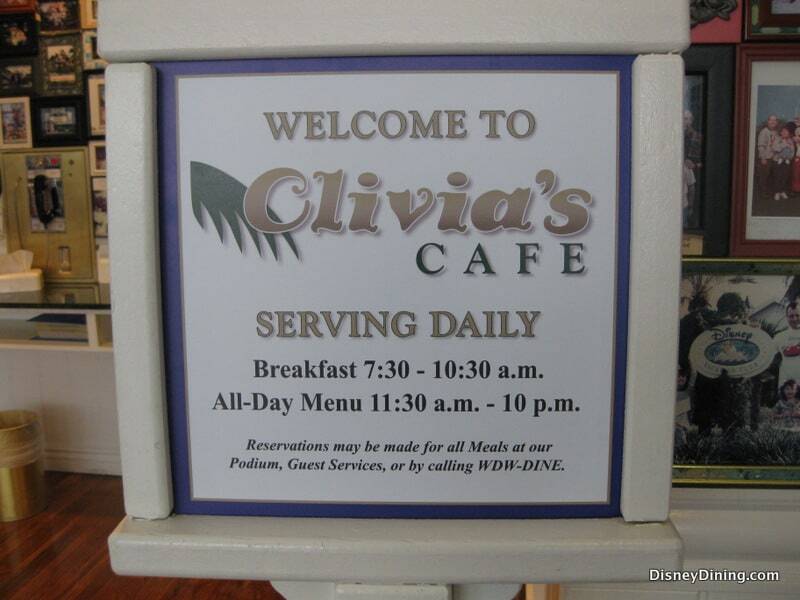 Olivia’s is also accepted on the Disney Dining plan as a one table servicer credit restaurant.